This volume describes frontiers in social-behavioral modeling for contexts as diverse as national security, health, and on-line social gaming. Recent scientific and technological advances have created exciting opportunities for such improvements. 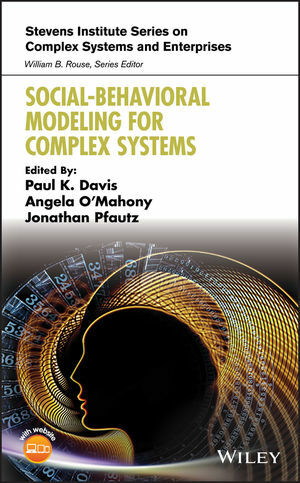 However, the book also identifies crucial scientific, ethical, and cultural challenges to be met if social-behavioral modeling is to achieve its potential. Doing so will require new methods, data sources, and technology. The volume discusses these, including those needed to achieve and maintain high standards of ethics and privacy. The result should be a new generation of modeling that will advance science and, separately, aid decision-making on major social and security-related subjects despite the myriad uncertainties and complexities of social phenomena. Intended to be relatively comprehensive in scope, the volume balances theory-driven, data-driven, and hybrid approaches. The latter may be rapidly iterative, as when artificial-intelligence methods are coupled with theory-driven insights to build models that are sound, comprehensible and usable in new situations. With the intent of being a milestone document that sketches a research agenda for the next decade, the volume draws on the wisdom, ideas and suggestions of many noted researchers who draw in turn from anthropology, communications, complexity science, computer science, defense planning, economics, engineering, health systems, medicine, neuroscience, physics, political science, psychology, public policy and sociology. Paul K. Davis, PhD, is a senior principal researcher at the RAND Corporation and a professor of policy analysis at the Pardee RAND Graduate School. Angela O'Mahony, PhD, is a senior political scientist at the RAND Corporation and a professor at the Pardee RAND Graduate School. Jonathan Pfautz, PhD, is a Program Manager at DARPA.